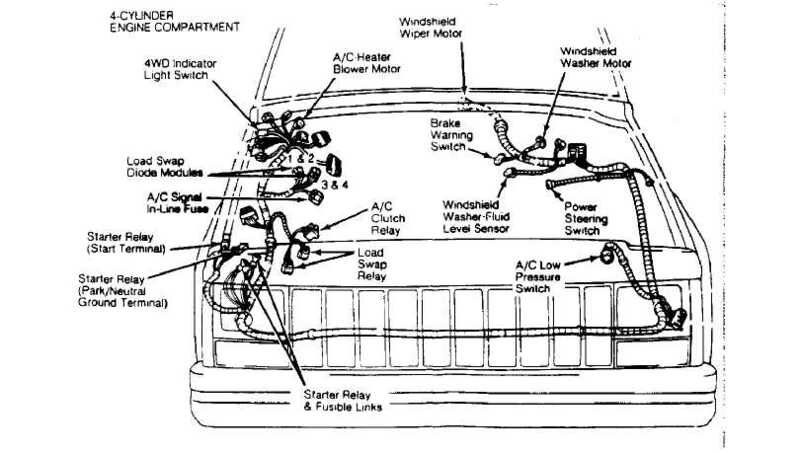 Technical Car Experts Answers everything you need: 2002 Jeep Wrangler: 4WD Idiot Light is ON? Solution For 4 Wheel Drive Indicator Light Problem. The idiot light comes ON when in 2wd but goes off when lever is shift to 4wd. This is a common Problem.Noticed by many others too.The Indicator light system is controlled by switch. The switch needs to be inspected. On the top of the transfer case there is a switch that has a plunger that rides off the shift selector in the transfer case, depending on transfer case position it puts a reference voltage through a different resistor to vary the return voltage. The return voltage is read and position is determined and then the appropriate light comes on. It's common for these switches to fail and actually operate backward as yours is. The switch will need to be replaced . Once the switch is replaced,all should work well. In some cases its seen that wiring in switch gets together and shorts.So first inspect the wires.Clean the connections and reconnect.Then see,if same problem noticed then replace the switch. If the switch is cracked or got shorted inside and burned.Then directly replace the switch. · Car automatically switches to 4wd low? No 4x4 light on dash? 4 wheel drive system will not disengage? 4WD light is flashing and beeping? NO 4WD high?